Eco-Resorts - Watamu Marine Association. Eco-resorts offers you eco-friendly safari adventures. Together we're changing the world - one journey at a time. For 30 years, East Africa has been our home and passion. Use our expertise and free safari advice to save you time. We offer you exciting alternatives to the East African package safari. Imagine creating a trip that matches your specific requirements; want a budget holiday with a luxurious splurge at the end? No problem! We can mix and match our trips to create your dream safari. Travel in style with our Elephant Safaris. Imagine charter flights, exclusive use of small, personal camps in remote areas, 4WD game drives off the beaten track and superb staff to cater for your every need. Approximately US$500+, per person, per night. 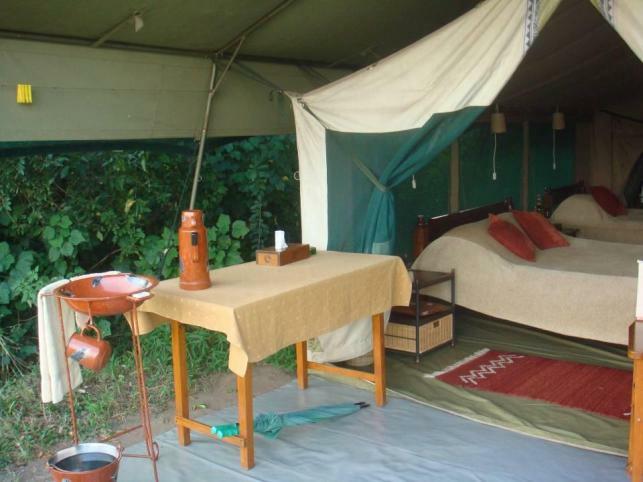 Enjoy your creature comforts with our Hornbill Safaris while exploring the wilderness. Sturdy, comfortable mini-buses, expert driver/guides, 3 and 4 star lodges, excellent service, facilities and staff. Approximately US$ 300 - US$ 400, per person, per night. 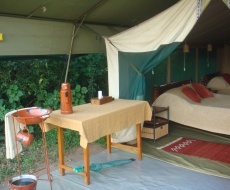 Masai Safaris explore East Africa while camping or living in village homes. With our specialist safari "Volunteer Vacation", you can volunteer in an orphanage on Kenya's North coast. Fascinating introductions to tribal cultures with a certain amount of 'roughing it'. Approximately US$200 to US$300, per person, per night. Know when youâ€™re traveling? Prefer to safari with a group? Then these trips are perfect for you! Small group safari departures are set throughout the year providing you with the opportunity to explore East Africa in safety and comfort, meeting others and sharing the experience of a lifetime! What do you get when booking with Eco-resorts? FREE prompt, professional answers from safari guides who live in East Africa. FREE personal itineraries that match your choice of activity, comfort and budget. FREE weekly safari magazine full of safari tips and travel information. The satisfaction of protecting East Africa for the future! We support the earth-one journey at a time. Regionally, we promote small, unique East African camps and lodges, which are involved in assisting their local communities and protecting their local environment. Eco-resorts itself also provides a percentage of its profits to local community and conservation projects, including Watamu Marine Association, Children of the Rising Sun Home, Watamu National Marine Park, Friends of the Arabuko-Sokoke Forest. Booking with Eco-resorts protects East Africa's environment and local cultures from extinction. Be an eco-tourist and make a difference!